Need another reason to celebrate National School Counseling Week? 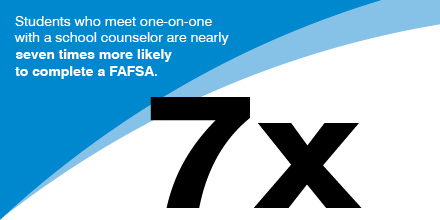 A recent NACAC study confirmed that students who meet one-on-one with a school counselor are significantly more likely to attend college and apply for federal financial aid. Delve into the data and use a PowerPoint presentation to share key findings.